It's that time again. No, not time to overeat, open presents and recycle your tree. It's time to start getting organized to file your taxes. Before you get too overwhelmed by that realization, don't forget that if you own your home or a rental property, there are a number of homeowner tax deductions for 2013 that you should keep in mind – and some set to expire this year. Almost everyone knows about the mortgage interest tax deduction. 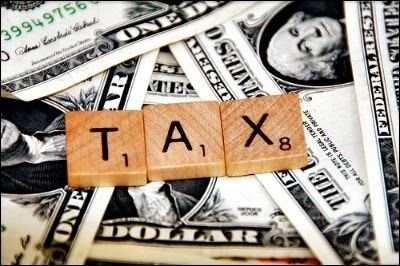 Interest on mortgage payments can be deducted from annual taxes. This is especially helpful early on in a mortgage when the percentage of interest you’re paying is the highest. If you paid points (origination fees) to buy a home or refinance, these costs are often deductible. Points on a refinance are deducted on an amortization schedule for the life of the loan, so ask your tax preparer how you can easily keep track of them. If you are paying Private Mortgage Insurance (PMI), this is the last year PMI is deductible. If you pay PMI, it’s most likely because you didn’t put down 20 percent on you home loan. You can deduct PMI premiums on mortgages originated between Jan. 1, 2007 and now (if you are in specific income brackets), but this congressional measure is set to expire in 2013. If you take out a loan of up to $100,000 on capital improvements for your home, you'll be able to deduct interest payments. These improvements include adding square footage to a home, upgrading components or fixing damage after a natural disaster. With global climate change and energy shortages becoming ever more pressing threats, the government has incentivized home upgrades that will cut down on the amount of energy you use in your home. If you've weatherized your home in the past year, installed solar panels or otherwise made improvements to your home that cut energy use, you could be eligible for deductions and tax credits. In addition to federal deductions, many states also offer energy efficiency deductions and credits. Beaverton, Ore.-based CPA Nancy Winn says on top of these and other typical tax deductions, homeowners — especially those who own rental properties — might be eligible for these additional deductions in 2013. You can deduct expenses for cleaning and necessary maintenance or repairs on a rental home before you show it. You have to determine if you are making repairs to bring the home to good working condition or if you are improving the home. If you are making home improvements, then you'll have to depreciate the cost of the improvement over its lifetime. If you travel to a rental home to show it, do repairs, or pick up rent payments from tenants, you can use the IRS standard deduction of 56.5 cents per mile, assuming you use your own car. You can also deduct any toll fees or parking expenses from these activities. You can also write off the cost of a trip made to maintain a property, but you’ll need to track itemized expenses related to this work if you turn the trip into a vacation as well. There are other possible tax deductions you can ask your certified public accountant (CPA) or tax preparer about as well. If you work from home, you can write off a percentage of your utilities, mortgage payment and maybe even repair bills under a home office deduction. It has to be a dedicated office space, and there are limits on deductions, so ask a professional how to do this without causing the IRS to look twice at your return. Two other possible deductions are money invested to sell your home or a loan forgiveness deduction if you had a short sale or deed-in-lieu of foreclosure. The latter falls under the Mortgage Debt Forgiveness Relief Act of 2007. It was created for homeowners with underwater mortgages because the amount your mortgage lender forgives considered taxable income by the government. This act expires in 2013 (unless Congress extends it), so if you are completing one of these processes, talk to the lender about getting it on the books in 2013. About the author: Larque Goodson is a real estate writer at Reply! with over 15 years of experience in journalism and marketing. To learn more about her work, connect with her on Google+.